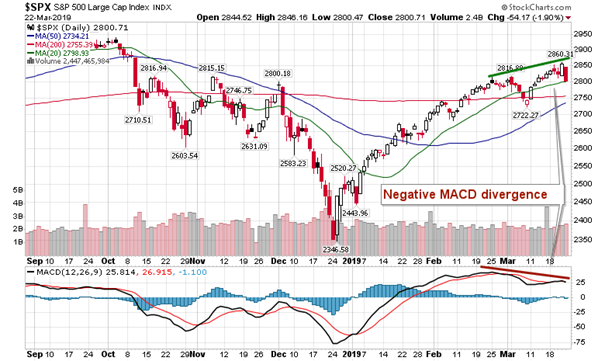 Negative divergence with respect to MACD suggesting waning buying pressures into the end of the quarter. Stocks sold off sharply on Friday following weak European manufacturing data that suggested economic conditions in that region are edging on a recession. 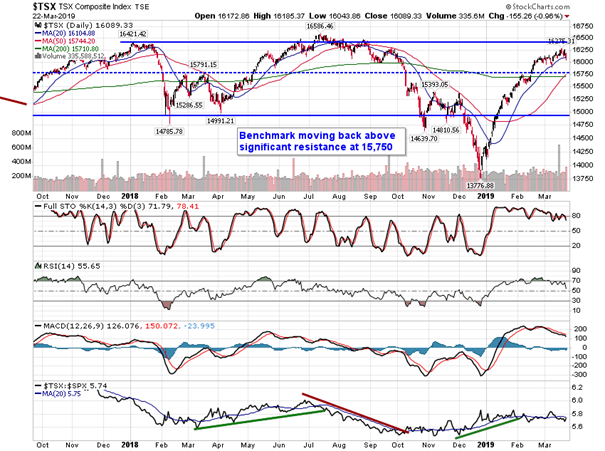 The S&P 500 Index fell by 1.90%, instantly giving back the gain that had been accumulated for the week. 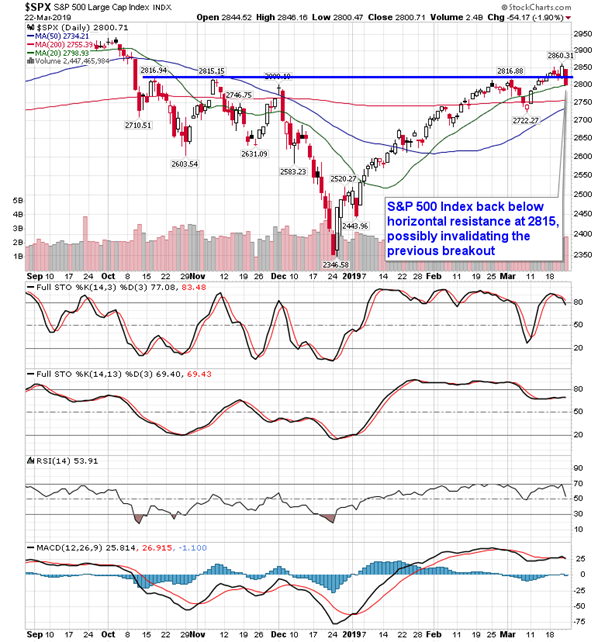 The benchmark crashed back through previous broken support at 2815 to close at the key psychological pivot point of 2800. 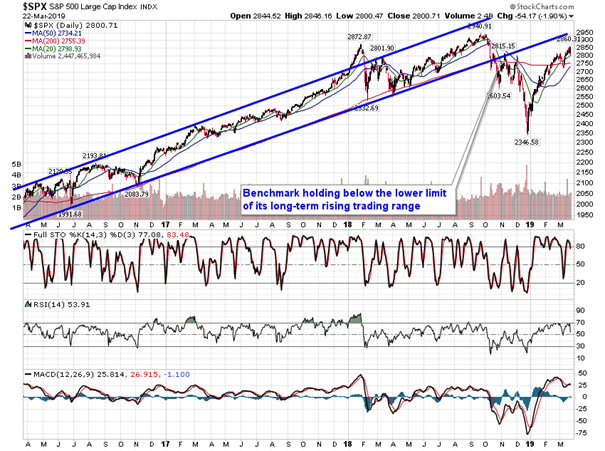 The rising 20-day moving average is a mere point below. 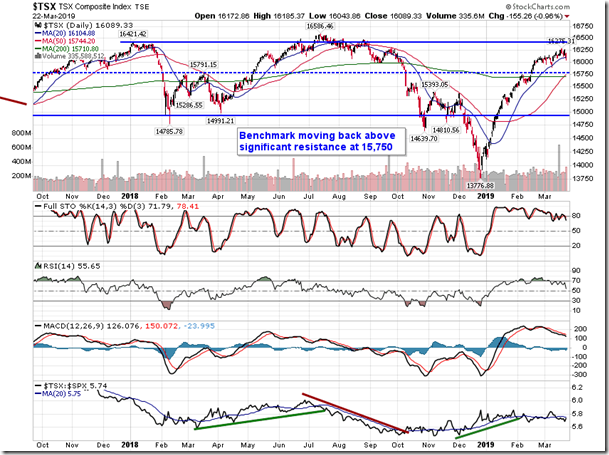 While easy to invalidate the breakout above resistance earlier in the week, some room may be require to confirm. 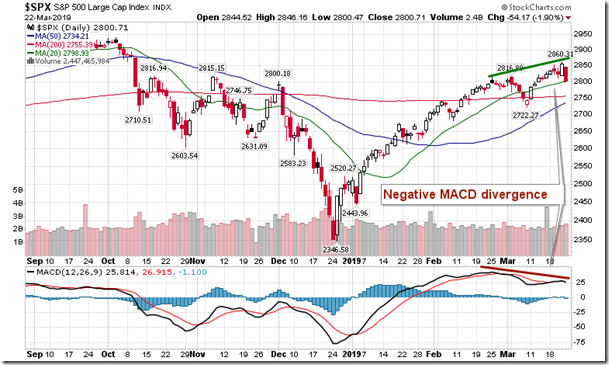 Raising concerns, however, is the negative divergence of MACD compared to price. This momentum indicator has fallen over the past month as price has moved higher, typically a sign of waning buying pressures. Nothing is definitive at this point, but this downshift in the equity market is occurring just one day following our note that evidence of investor complacency had re-emerged, making stocks vulnerable as protections are eliminated. 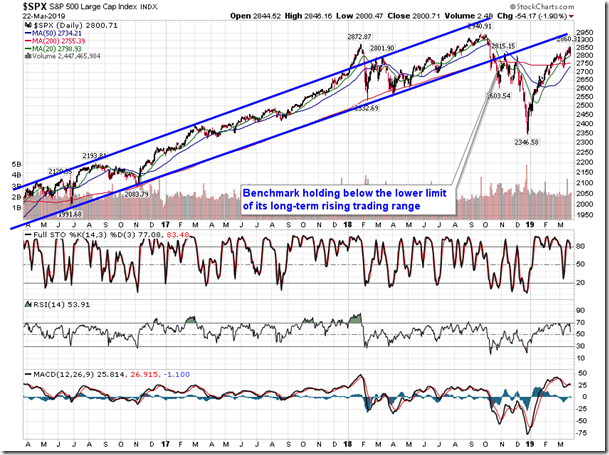 Complacency combined with technical signals of market deterioration can provide powerful sell signals, but, perhaps in a signs of complacency ourselves, we’ll keep an open mind, for now. 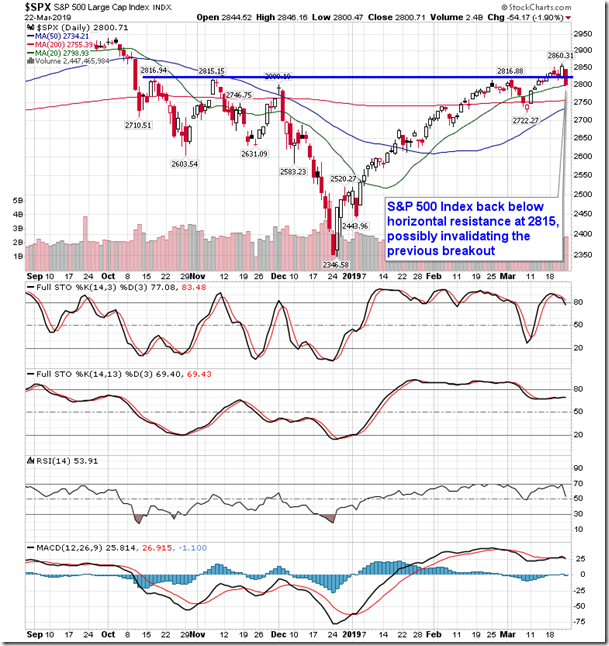 The market has realized a massive return since the December low and, as we noted in our Wednesday report, there was a high likelihood of consolidation into the end of the month. This may provide the pause that refreshes, leading to a strong month of April, as per seasonal norms. On the economic front, a nice rebound in existing homes sales for February suggests that consumers are taking advantage of the recent decline in mortgage rates to come off the sidelines following a weak 2018. The headline print of February’s existing home sales report indicated that sales increased by 11.8% to a seasonally adjusted annual rate of 5.51 million. Analysts were expecting an increase of 3.4% to a rate of 5.1 million. Stripping out the seasonal adjustments, existing home sales actually increased by 9.5%, which is much higher than the 5.1% increase that is average for this second month of the year. 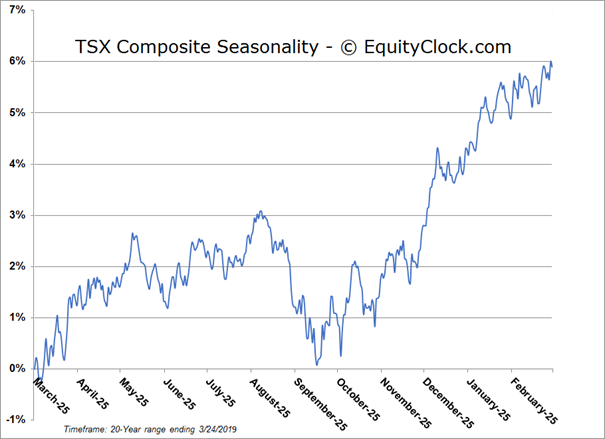 The year-to-date change now stands 6.4% above the seasonal average trend, which is the best performance since 2002. 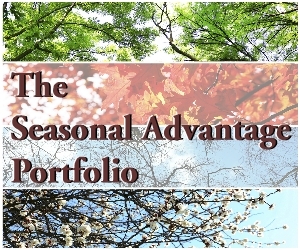 The result helps to offset some of the 12.7% lag versus the seasonal average realized in the year prior. Subscribers to our service were provided with further insight on this important gauge of the health of the housing market. Want a copy? Subscribe now and we’ll send it directly to your inbox. 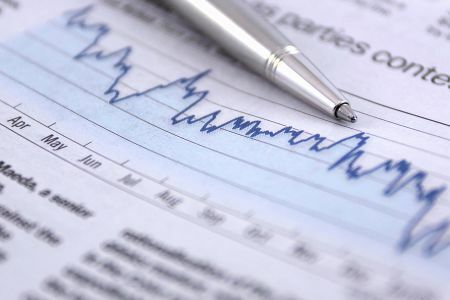 North of the border, Statscan reported that retail sales fell by 0.3% in January, which missed analyst expectations that called for a 0.4% increase. Stripping out the seasonal adjustments, the actual change in retail trade for this first month of the year was -20.9%, which is 5.2% above the average change for this post-holiday period. 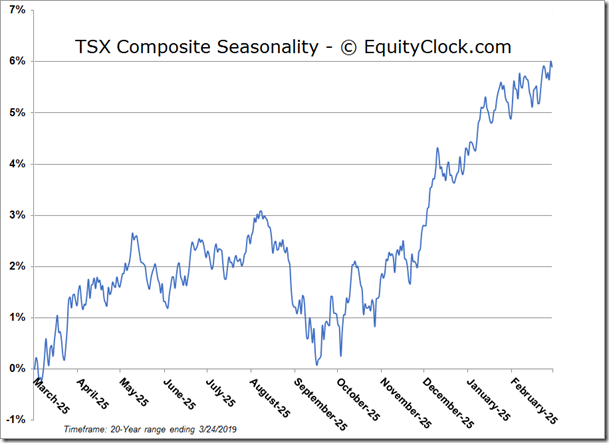 This is the best performance for the start of the year in the over 27 years of data that we have on record. 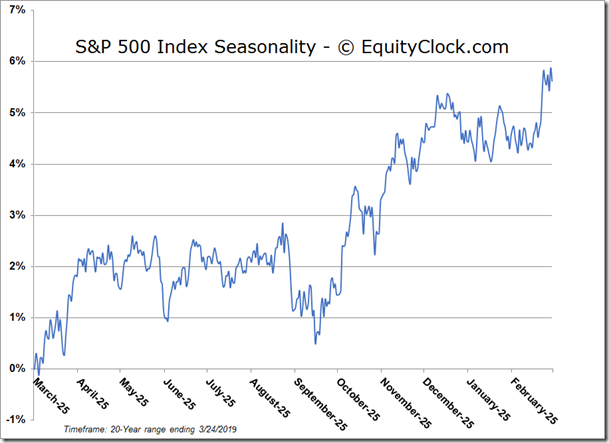 However, before getting too excited, netting the strong result with December’s weakness, the trend has effectively reverted back to the mean. 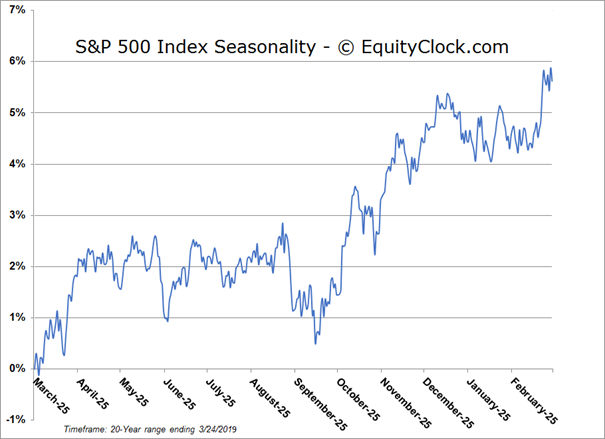 Seasonally, retail sales ramp up between February and May as consumers emerge from hibernation and purchase big ticket items into the spring. To read our report on the subject, subscribe now and we’ll send it to you. 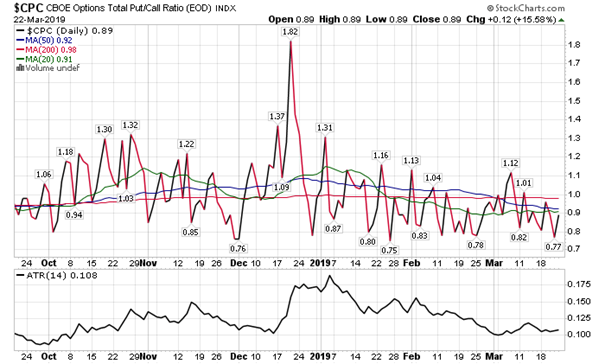 Sentiment on Friday, as gauged by the put-call ratio, ended bullish at 0.89.